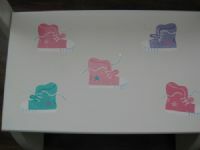 Get a little one closer to the sink by stepping on this sneakers design stepstool. 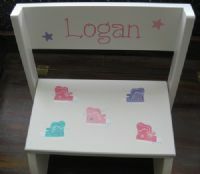 The back flips down for an extra step or can be used as a little chair with the back straighten up. This sneakers design is painted with enamel paints and is very intricately detailed.